Paco Rabanne, one of the first ever aftershaves in my collection and the original XS version of this aftershave was a staple for a good five years in my early 20s. Invictus was another triumph so when Pure XS fell into my collection after the good lady wife paid a visit to Disneyland in November I was mightily pleased. 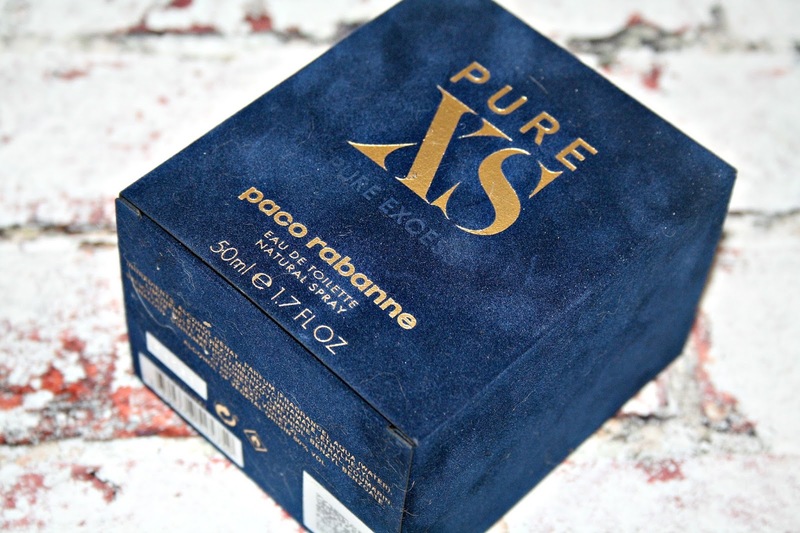 The massive velvet box of Pure XS by Paco Rabanne also looks the part with something of luxurious start to the testing process. Is it worth £47 for a 50ml bottle of the stuff? With notes like that I'd have expected a very heavy fragrance, earthy in nature with a sweet base, but I was astounded by how it played out after spraying it liberally across myself. First up, it's quite potent, anything more than four sprays and people around you will be gagging for a good hour after you've applied it. The green sap does give something of a earthy fragrance at first and weirdly, I found that it came across a little spicy for the first five minutes, with a warmth on the nose that brought a wry smile to my face - it doesn't give the impression that this is a complex blend but as it starts to evolve and dry down I swear you'll wonder how you did without this in your collection. The ginger is barely noticeable but you can pick up hints of cinnamon but only for again a few minutes before the warmth intensifies and it becomes very heavy, but again, for no more than thirty minutes. I started to think this was a little too heavy for my tastes, I'm more of a light, fresh citrus kind of aftershave wearer but just as I expected to be panning this for being a bit too blokey, it lightened and actually becomes sweet, on a par with Eros by Versace. Wheres Eros uses tonka beans for the sweetness, the use of vanilla means that this lasts and lasts on the skin. Just four sprays of this and you'll be smelling lovely all day long - it's strength plays out on the skin for a good ten hours plus making it a very hardwearing fragrance. Yes it does come across as a bit too heavy at first but the sweetness of the vanilla takes the edge off making it a perfect blend between masculinity and sweetness. Nearly £50 for a bottle is a bit steep but this is a perfect fragrance for day wear around the office and with the excellent sillage properties mean you'll be badgered in a good way about what you're wearing today - those around you will be able to smell it, and if like my experience, at least 95 per cent of people will have a positive reaction. It's hard wearing, a bottle will last for months even if using daily which in my view makes it a decent mid-range aftershave. Oh now this sounds like it would smell absolutely amazing, I wish I could get Ash to wear some sort of aftershave sometimes as they can smell so good! I do like the sound of the scents in this one and I'm glad it isn't too heavy. This sounds like something my other half would love. He's so in to his aftershaves and spends quite a long time selecting one when he's getting a new one. He does have good taste though which is great for me! I really do like cinnamon and vanilla scents so I think I'll mention this one to him. This sounds like a great aftershave will take note of this as my hubby currently has enough aftershave but its worth knowing of other brands that smell great. This sounds like it smells delicious. I find Paco Rabanne do lovely men’s scents. The price doesn’t seem too bad when you take into account that you need so little fragrance for effect. My Other Half always uses Paco Rabanne But I don’t think he’s tried this one. I might have to treat him for his birthday. 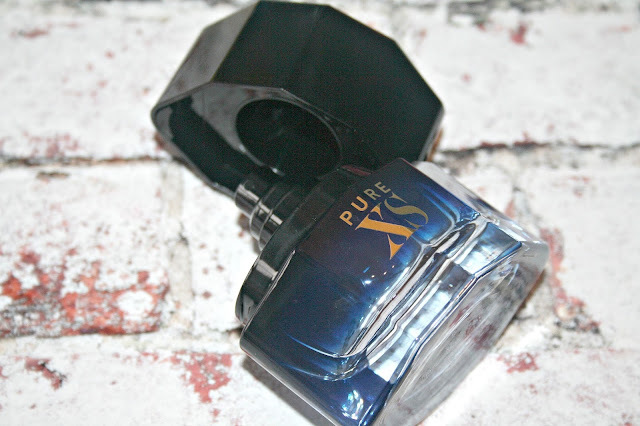 I have never smelled this aftershave before but I am loving the bottle! It is wonderful to hear that as the hours went on the scent mellowed and was actually a lot lighter than you expected. I like the packaging, do you know if it is cruelty free? It's my husbands birthday at the weekend and I need to get him a couple more bits, so I might pick up some of this. Thanks for the idea! This would make a great gift for my daddy for fathers day, he already has Paco Rabanne but we don't think its this one! A good aftershave that lasts is so important. So many just wear off after an hour or two! This sounds perfect! I hate it when a fragrance disappears after 0.637373 seconds! I'd handle the heaviness at the beginning for the longevity any day. I love it when a fragrance lasts, it is definitely worth spending the money on! I like Paco Rabanne fragrances but haven't heard of this one. My partner is a pacco rabbane fan so I must check this one out for his birthday. It sounds like a nice scent. I love warm, spicy aftershaves - particularly long lasting ones which linger.